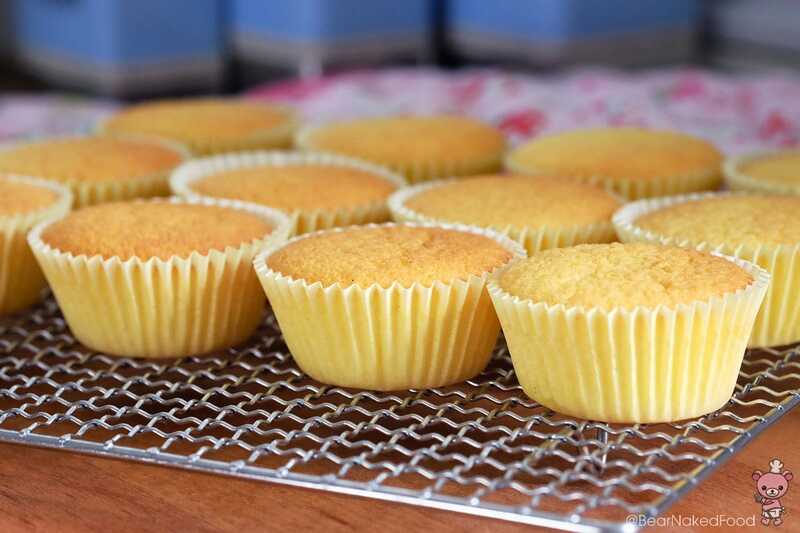 If you are a fan of light, fluffy cupcakes with a citrus-y lemony note, then today’s post is just for you. 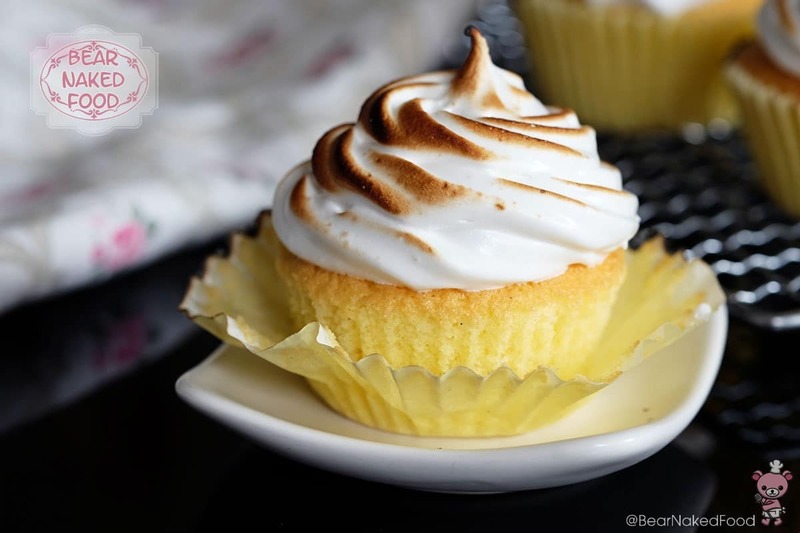 In fact, this Lemon Meringue Cupcake recipe has been on my to-bake list for quite some time. “Better late than never” as they say (who is they, anyway?) so here you go. 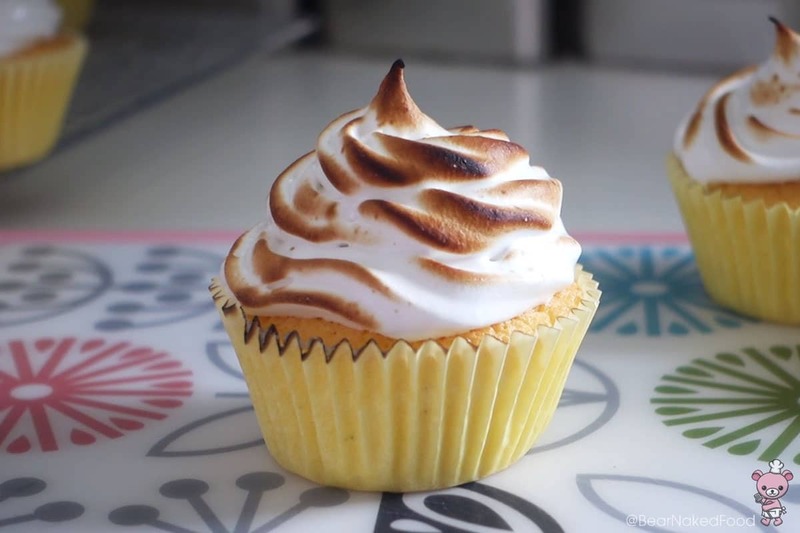 In case you are wondering if the meringue frosting is necessary, my answer is yes AND no. 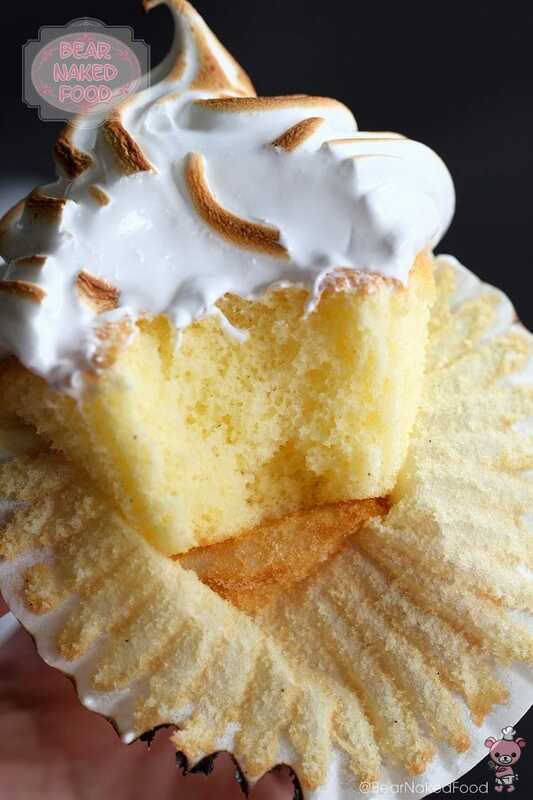 The lemony spongy cupcake which I adapted from my vanilla sponge cake is perfectly good on its own but if you want to turn this into a decadent treat, then I would strongly urge you to make the meringue frosting. Soft and fluffy. Can’t help but to squeeze it. 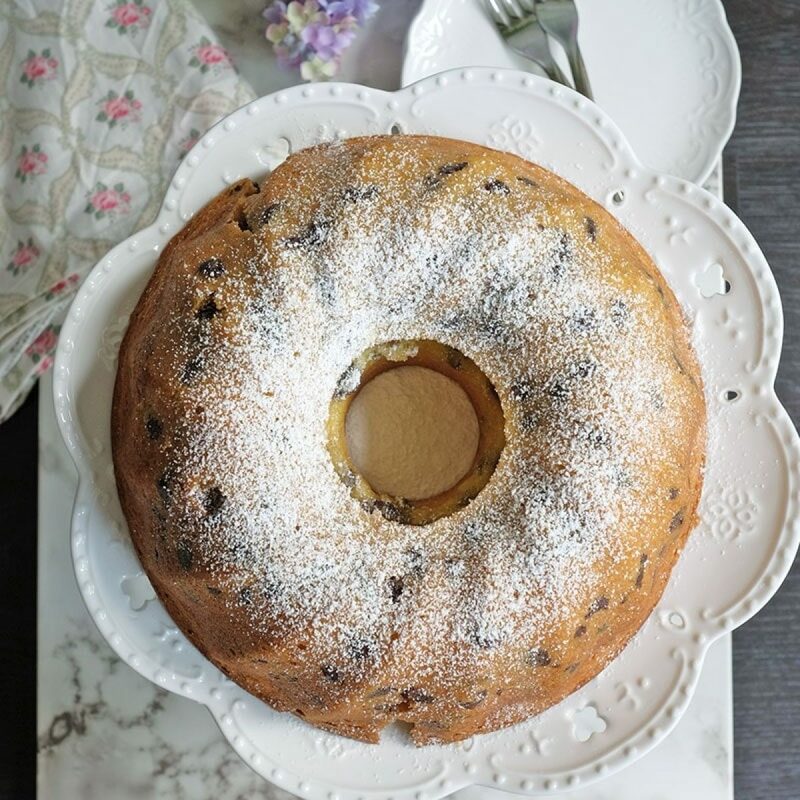 😛 Can you spot the flecks of vanilla bean too? For the pièce de résistance, if you are a proud owner of a kitchen torch (like me hee hee), brûlée the meringue frosting lightly and chill them in the fridge for a bit before consuming. But if you can’t wait, feel free to sink your teeth into them, I promise no one is judging. 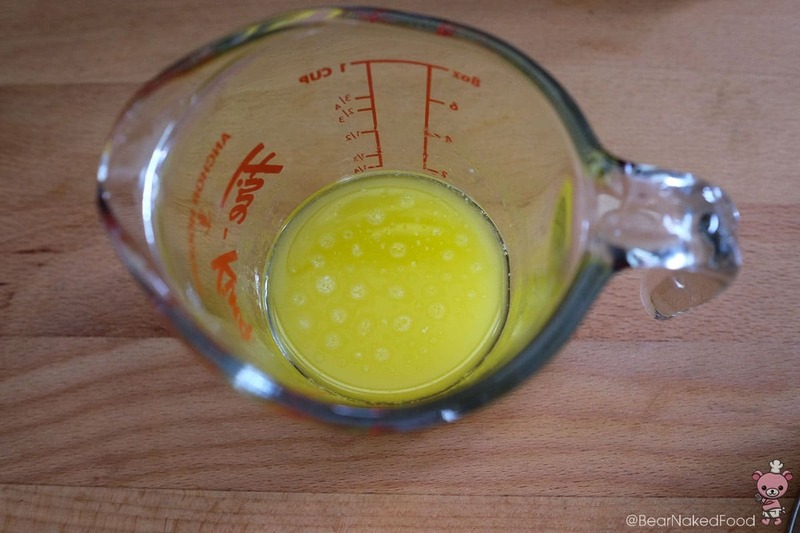 Add in oil and water to the melted butter and stir well. 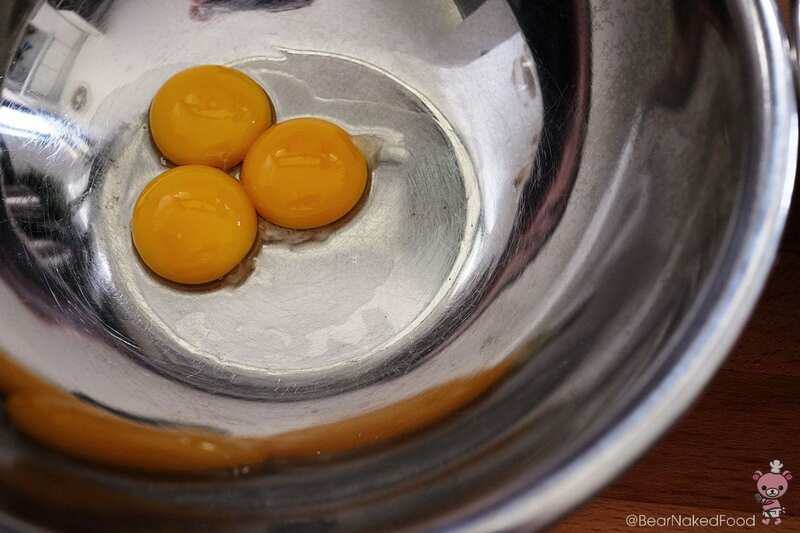 Separate the egg whites and yolk in two large bowls. 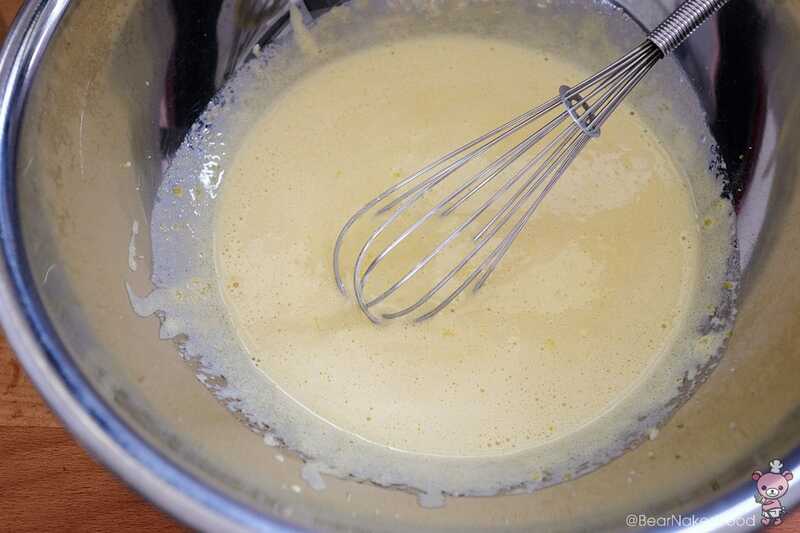 Add sugar to the yolks and whisk till pale and light. 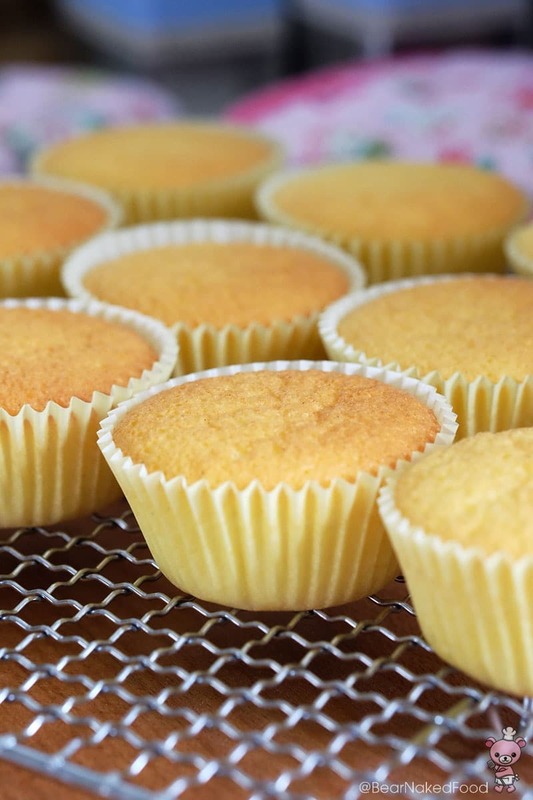 Add in butter mixture, lemon zest, lemon juice and vanilla extract and mix well. 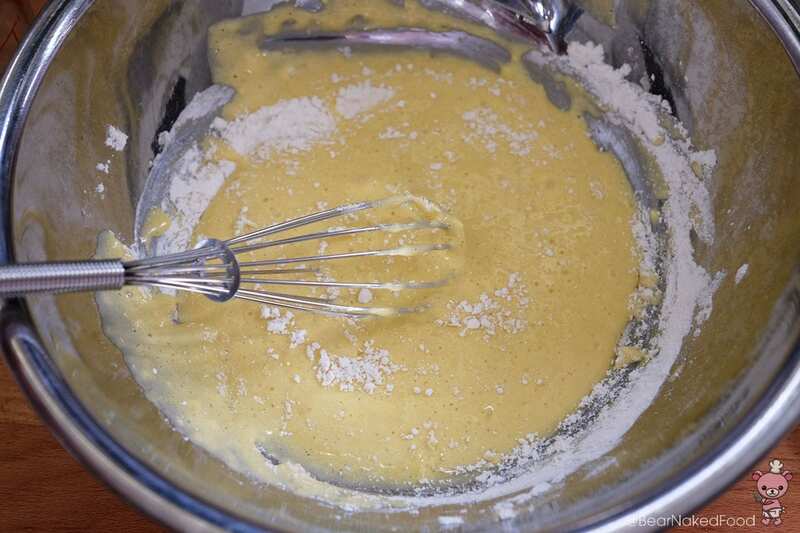 Next, add the sifted flour into the batter and fold until just disappear. Set aside. 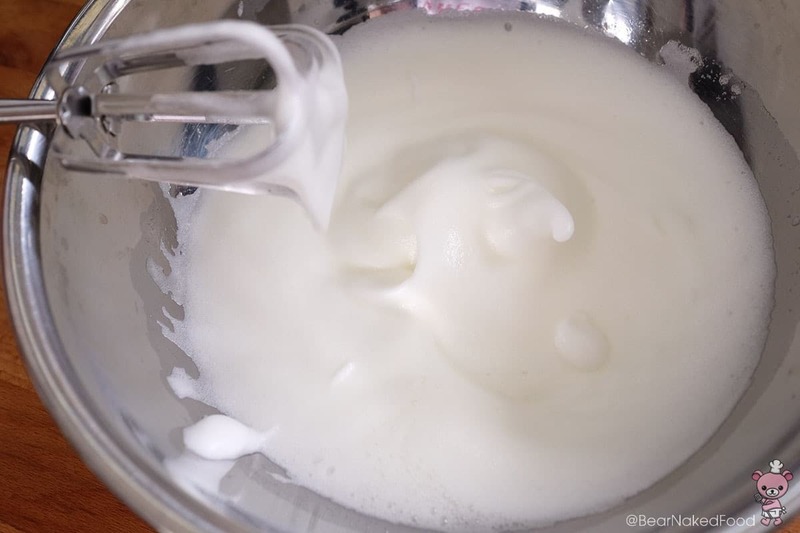 Using an electric hand mixer, beat the egg whites with cream of tartar until frothy and add in 2 tbsp sugar gradually. 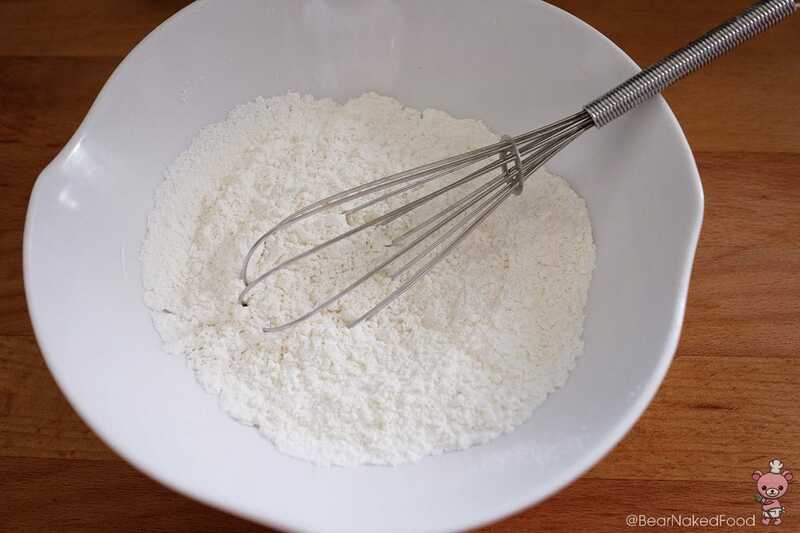 Whisk until soft peaks. 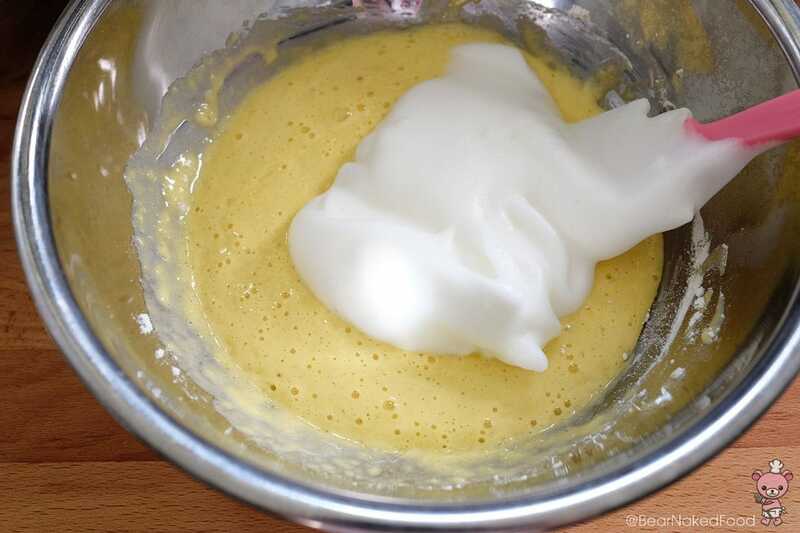 Scoop a dollop of the beaten egg whites into the batter and fold in quickly but gently. 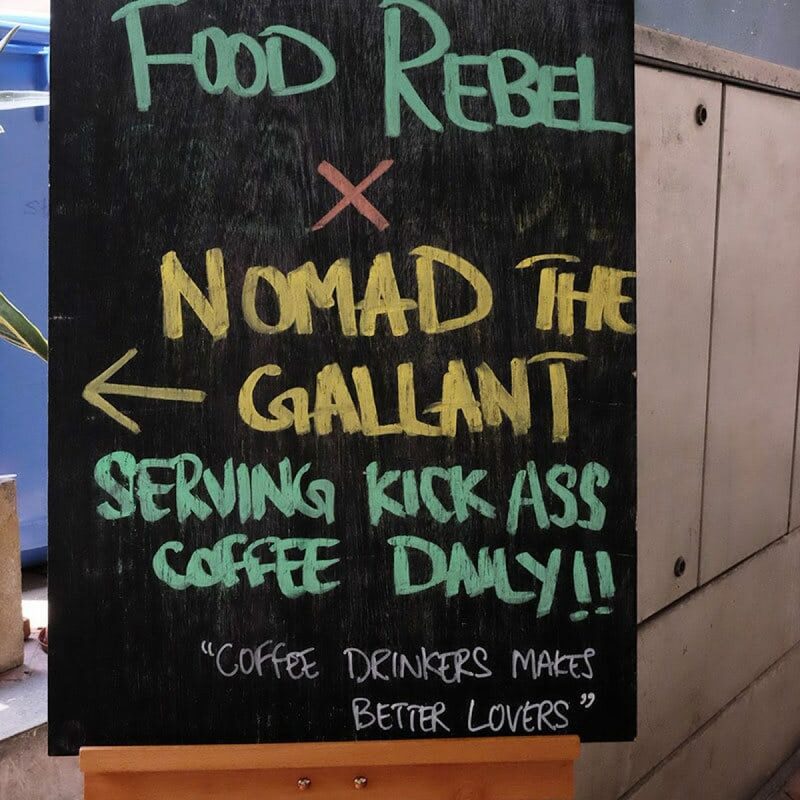 Repeat with the rest in 2 more batches. Tap the bowl gently on the counter to remove excess air. 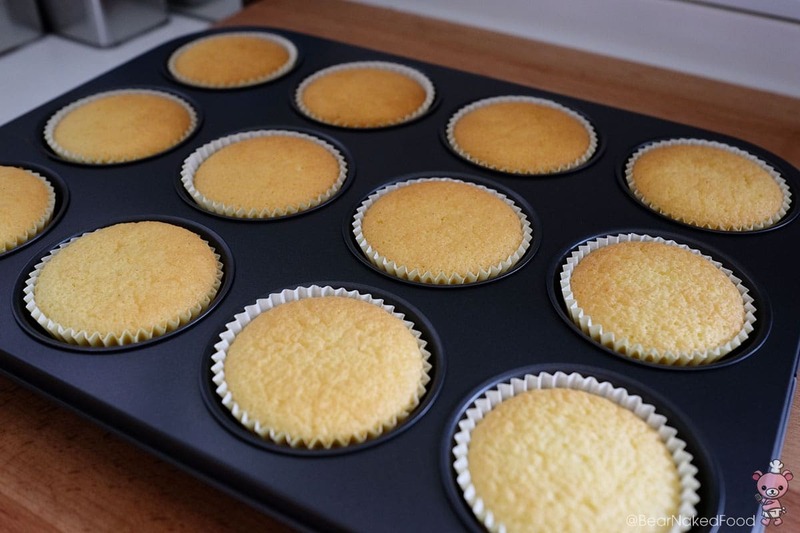 Line a 12-cup muffin tray with cupcake liners. 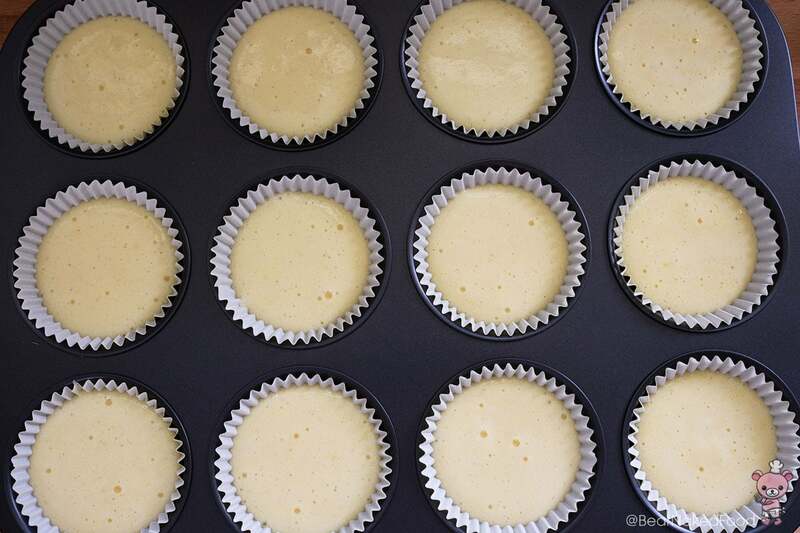 Pour the batter into each liner about ¾ full. 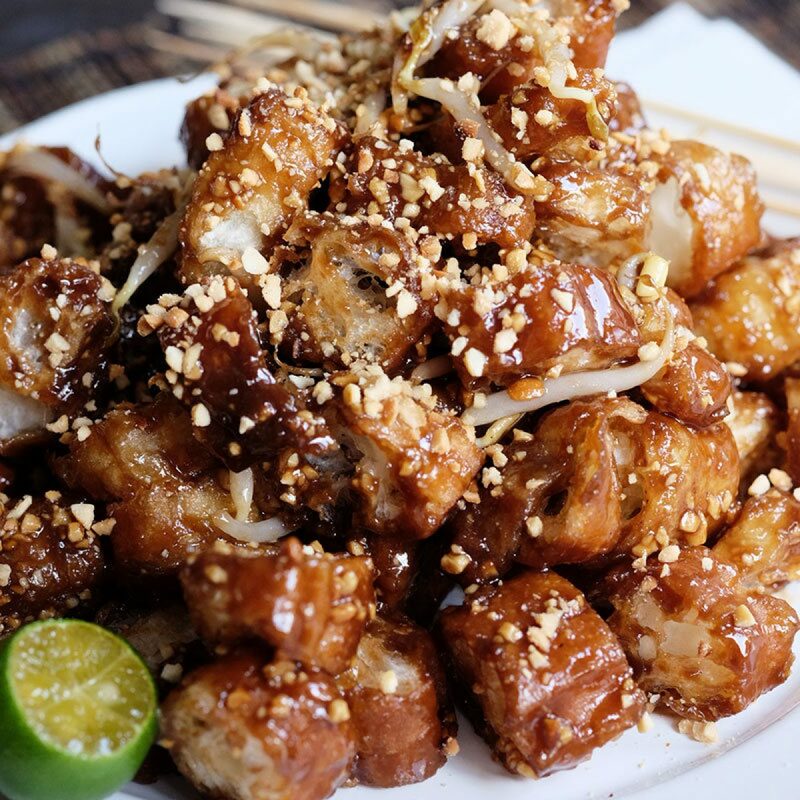 Bake in a preheated oven for 15 – 20 mins, until a skewer inserted comes out clean. 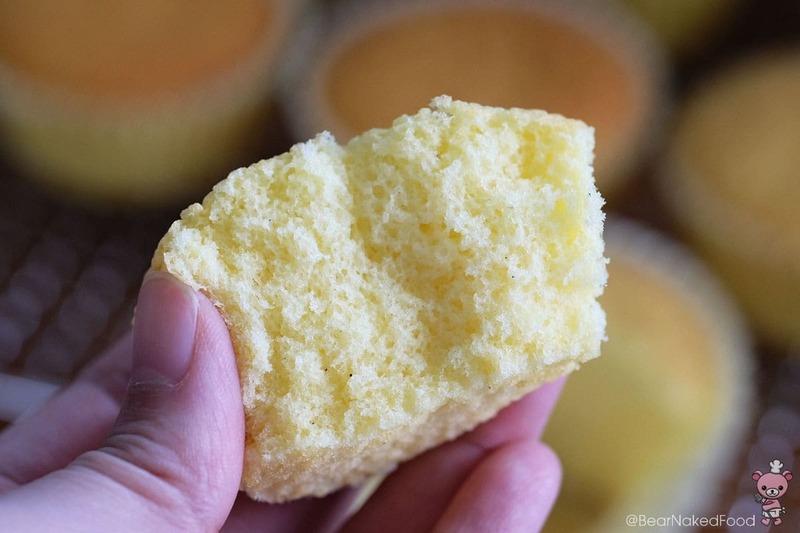 Remove from oven and immediately drop the muffin tray on the counter from a 6-inch height, about 3 times. 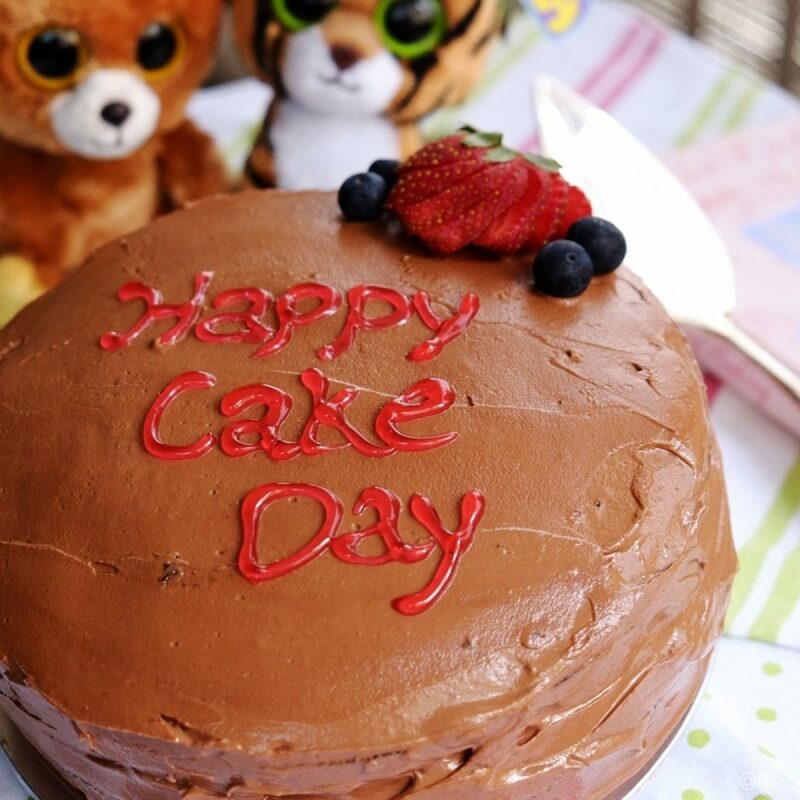 This will prevent the cake from sinking. 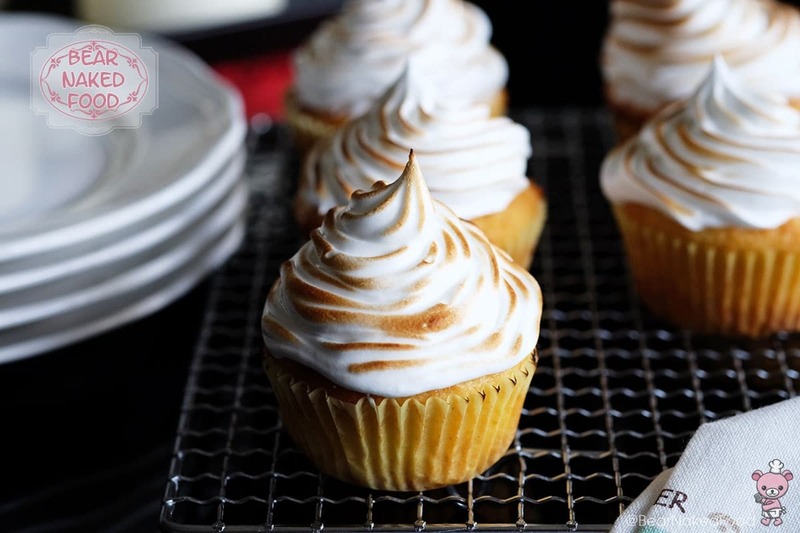 Allow to cool completely on a wire rack before piping the meringue. Find a saucepan or pot that allows the bowl for the egg white to sit on. 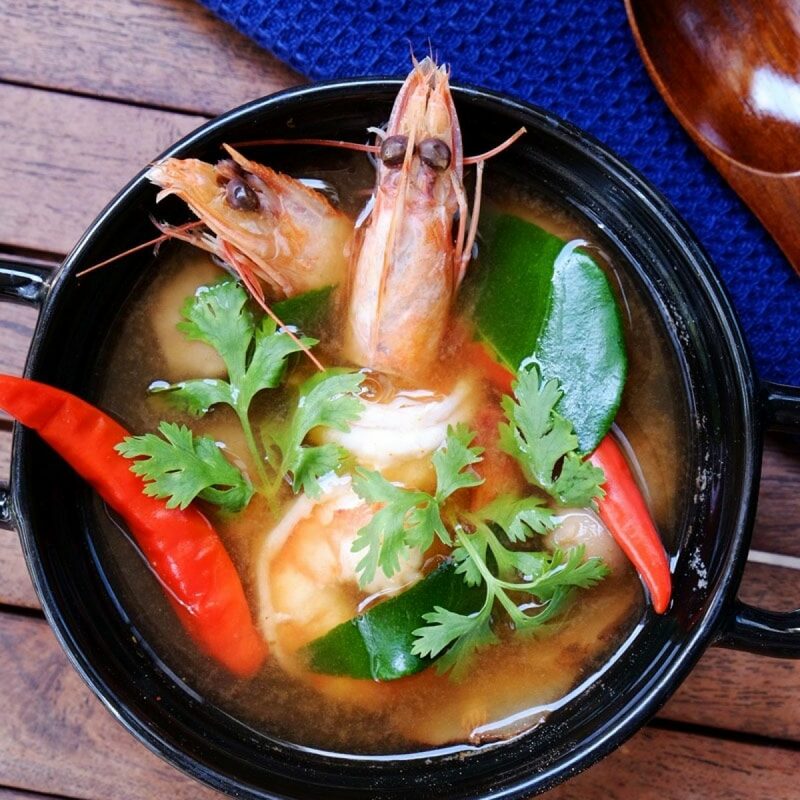 Bring a few inches of water in the pot to boil and set it on simmering heat. 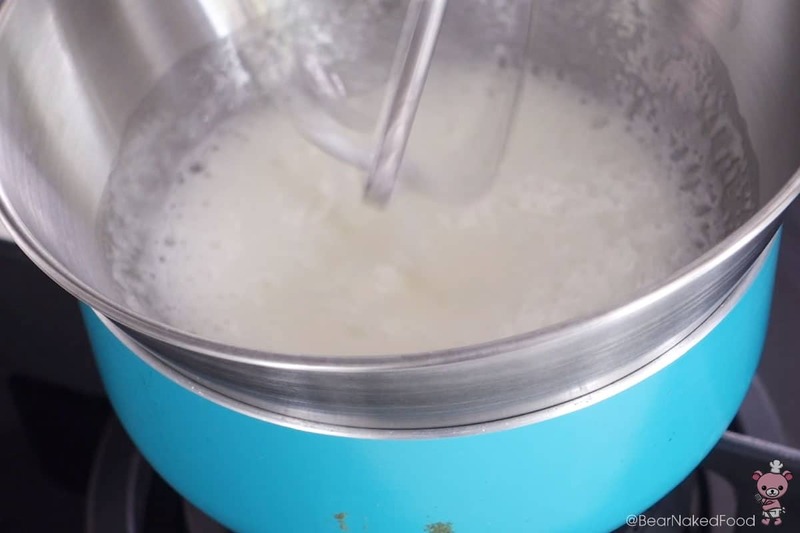 Add cream of tartar, salt and sugar to the egg whites and set it on the pot. 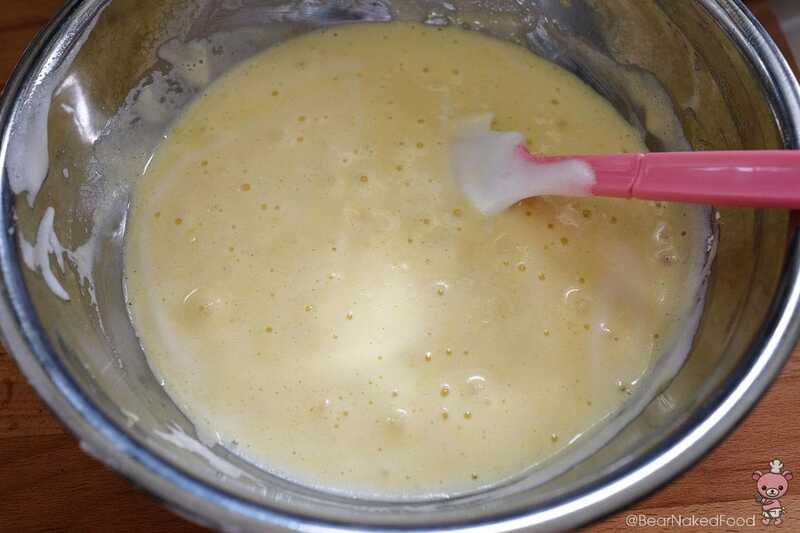 Using an electric whisk or hand mixer, beat till frothy, about 1 min. 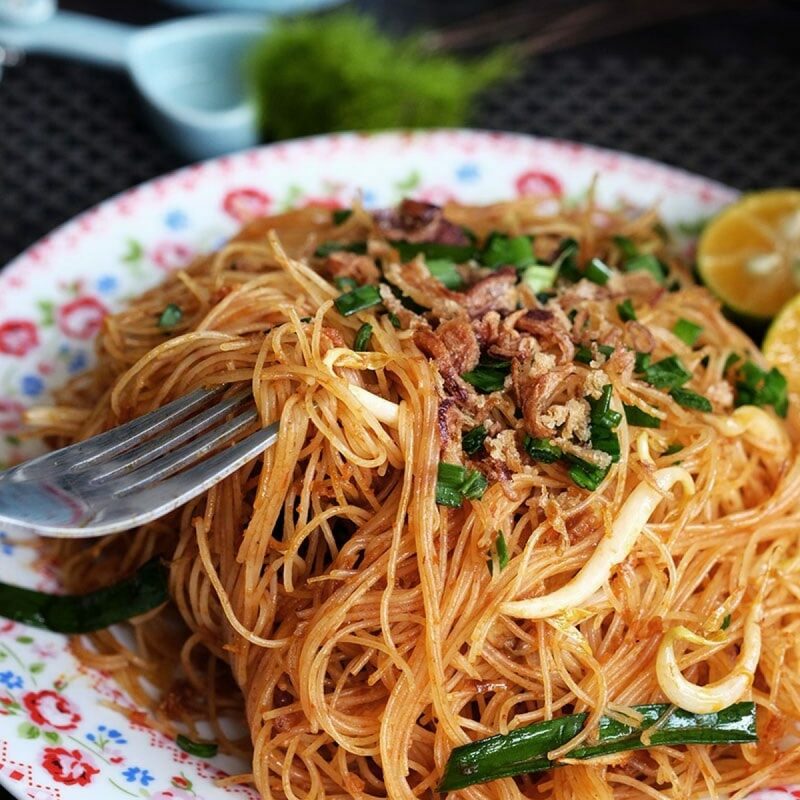 Remove from heat and in lemon juice. 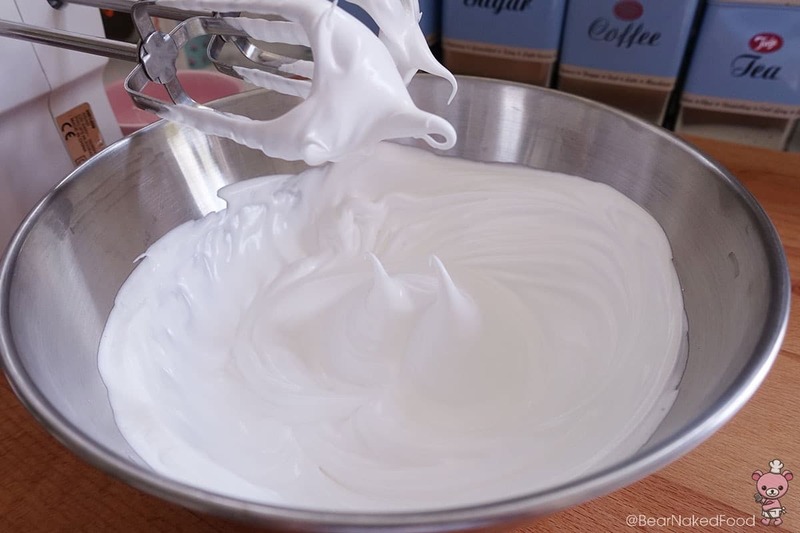 Continue to whisk until shiny, stiff peaks, about 3 mins. 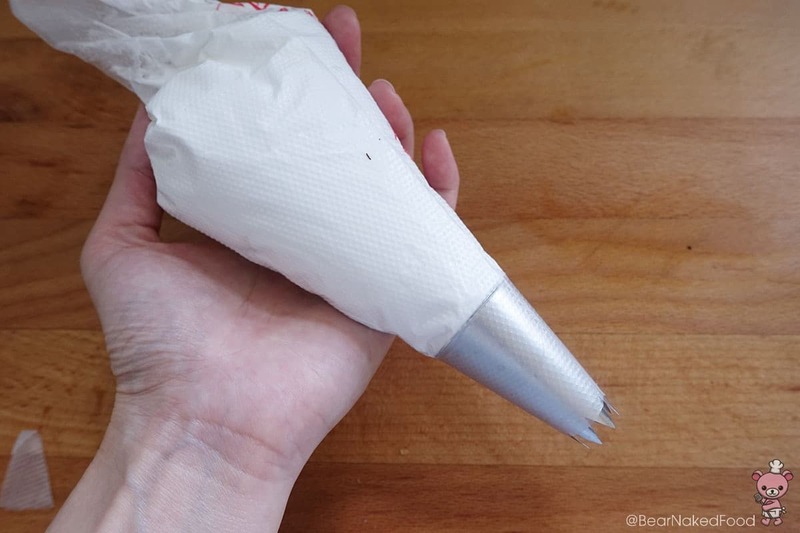 Place frosting into a piping bag fitted with a star tip (I’m using 12mm). You could fill it in 2 batches. Pipe the frosting on top of each cupcake. 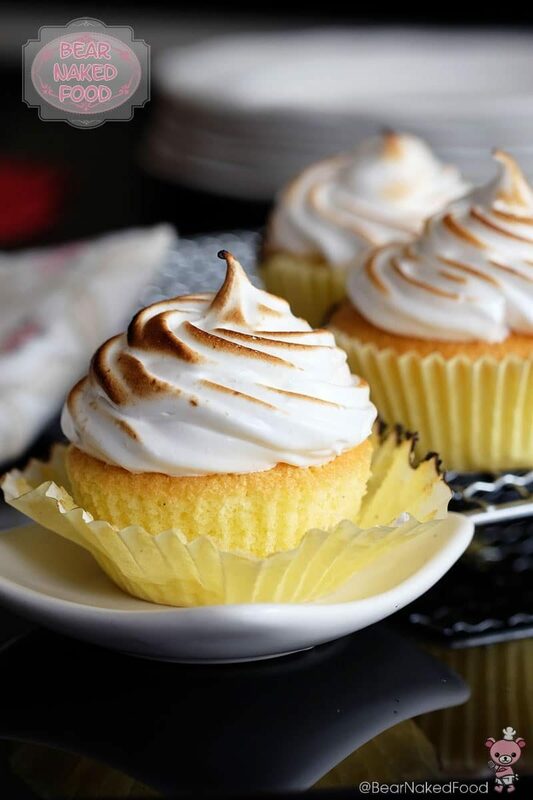 Use a kitchen torch and lightly torch the surface of the frosting. 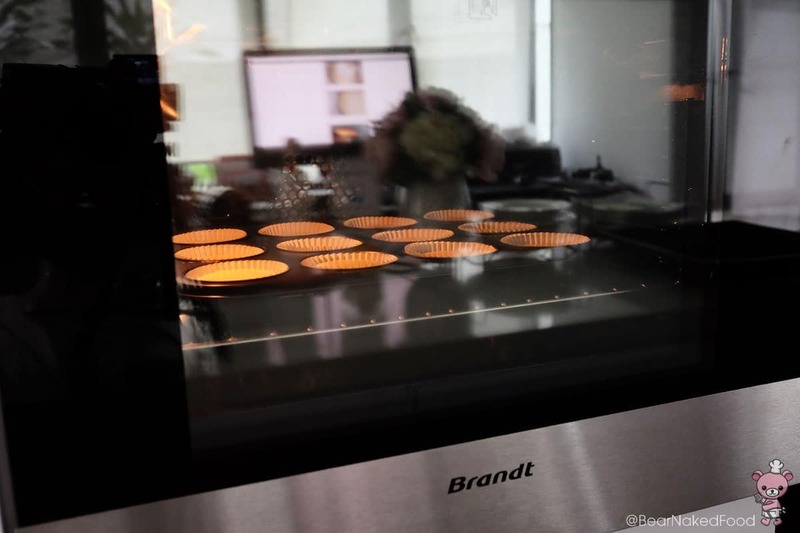 *I like to leave the cupcakes to chill in the fridge for 30 mins before consuming. 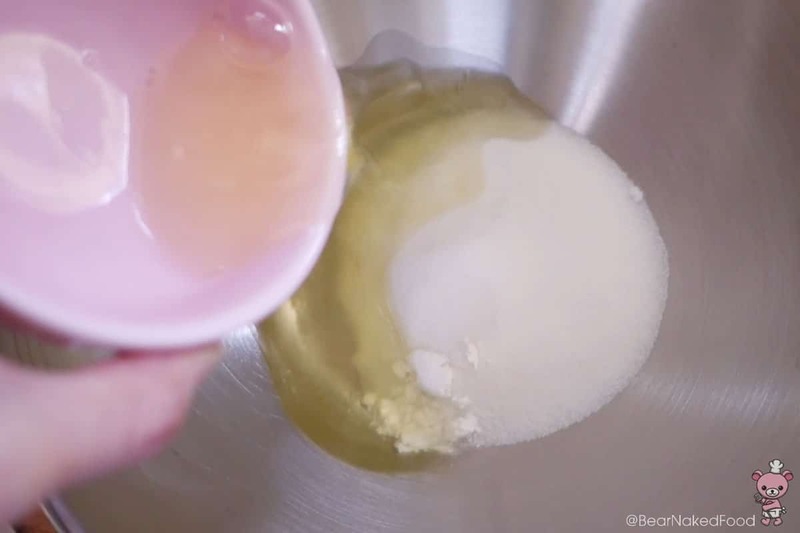 Add cream of tartar, salt and sugar to the egg whites and set it on the pot. 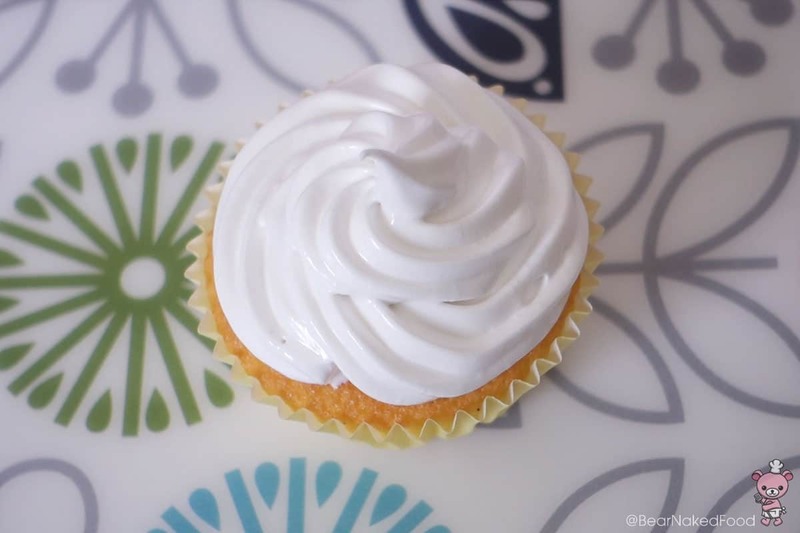 Using an electric whisk or hand mixer, beat till frothy, about 1 min.